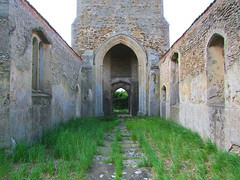 For a number of reasons, not all related to depopulation, Norfolk has more ruined churches than any other English county. Some of them are little-known, but the former parish church of Islington is probably one of the better-known ones. I hadn't been here for ten years, and I'd probably remembered it rather more fondly than it deserved. 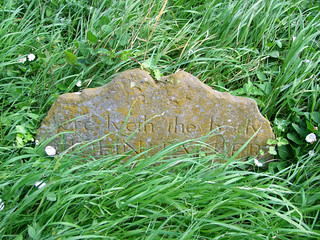 I was on a bike ride in the marshlands, visiting the Wiggenhalls and the Tilneys and the Terringtons, amongst others. 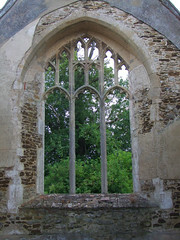 Earlier in the day, I had deliberately skipped a visit to the ruin at Wiggenhall St Peter to make sure I had time for this one. In retrospect, that was probably a mistake. 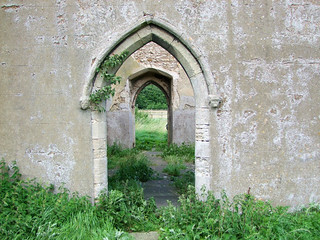 Some ruins hide away, lost because they are too remote for anyone to know or care anymore. 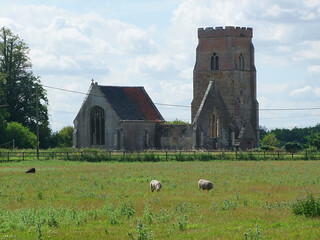 But St Mary is hard against the A47, a half-mile farm track from the roundabout leading you to a building that functions as little more than a view for passing drivers these days. If you are on a bike or on foot, you'll need to take your life in your hands to cross the busy dual-carriageway first. 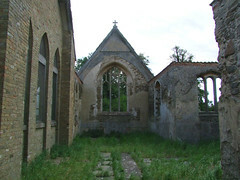 A small cruciform church, the 15th century tower survives but the 13th century nave is now roofless. 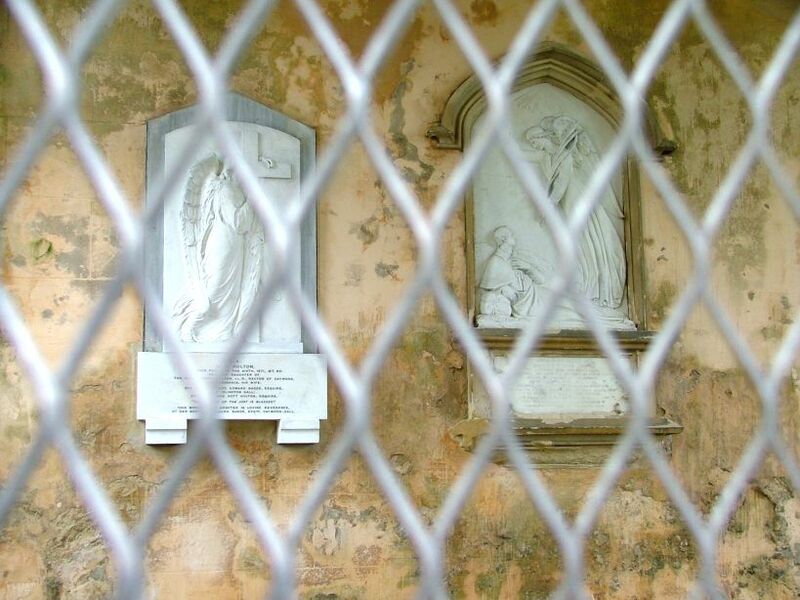 As is common with churches that were slowly abandoned, most of the furnishings were destroyed by a combination of vandalism and neglect, but the two bells still ring out over Histon in the busy northern suburbs of Cambridge, which is a nice thought. 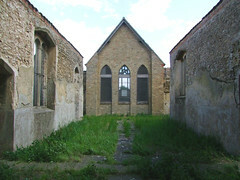 The chancel is still roofed and is bricked off with its own entrance, but is no longer in use  you used to be able to look through the grills to see the Victorian sanctuary step and three memorials to the Bagget and Dixon familied on the north wall, but the grills have been replaced by horrid plastic sheeting. 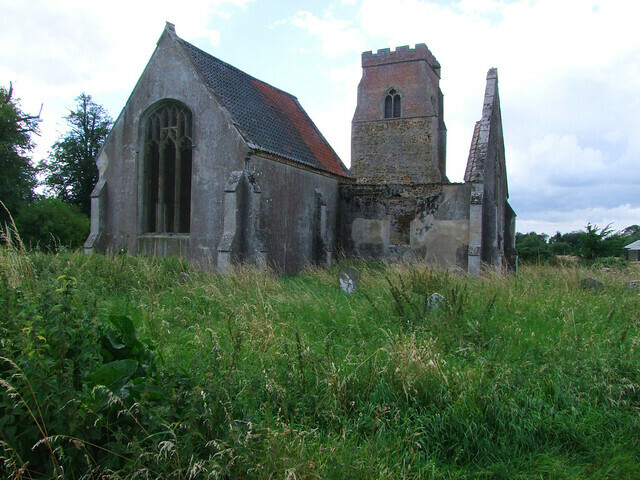 St Mary is not a particularly attractive ruin, and it may come as a surprise to learn that the Churches Conservation Trust are responsible for its upkeep  I doubt theyd take it on nowadays. 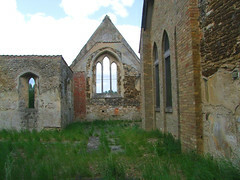 Indeed, while they do an admirable job in maintaining the structure, it is perhaps significant that the signs still bear the old name of the Redundant Churches Fund, and I was told by my mole inside the CCT that the organisation would love to shift this one off its books if it possibly could.